Today we fished the Scaramento River from SR 44 bridge down to Anderson. Fishing wasn't as action packed as I had anticipated, but we still caught some beautiful wild rainbows. Fishing on the lakes is way better in my opinion, but if its river rainbows you are looking for, the lower Sac is the place to be right now! 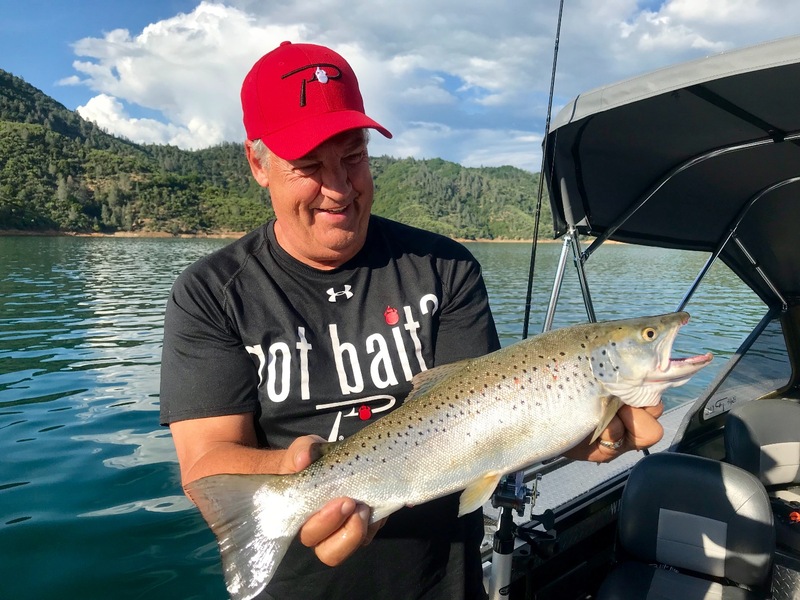 We have Lewiston Lake permits this season so if you are looking for a catch and keep fishery in a free flowing river like setting, get in touch with me and we'll schedule your day of fishing. While you're up there, consider booking a trip on Trinity Lake just 15 minutes away for landlocked salmon and trout. 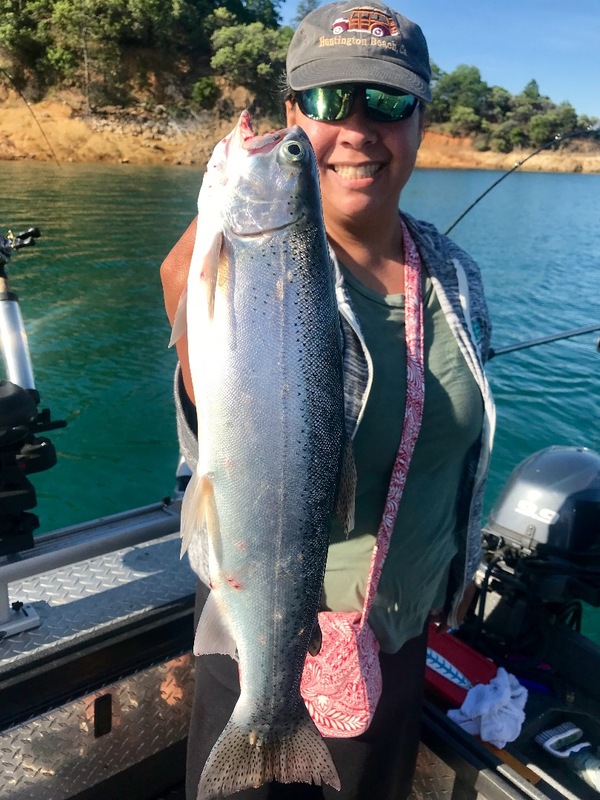 The fishing and weather are generally great and the salmon limits are (10) per person, per day!!! Contact us at jeffgoodwinfishing.com!